Big League Politics writer Peter D’Abrosca is the latest casualty in Twitter’s war on free speech. As leftists continue to be allowed to call for acts of violence against the Covington teens, D’Abrosca was literally banned for breaking a rule he never broke. According to an article on BLP from his compatriot Tom Pappert, Twitter has alleged that D’Abrosca was permanently banned for violating the platforms rules against “evading permanent suspension.” However, there’s one huge problem with Twitter’s reasoning for his ban, D’Abrosca has never been suspended in any form or fashion from the platform. So how could he have been banned for violating a suspension that NEVER occurred? It seems that Twitter HQ is growing tired of even pretending to find “legitimate” reasons to censor conservative voices, seemingly adopting a program of immediate and final suspension of dissident voices that stand against globalist driven thought policing tactics that would put pep in the step of Nazi propaganda minister Joseph Goebbels. You see… leftists who are verified and empowered by Twitter can call for the Covington teens to be burnt alive or force fed into a woodchipper head first without facing suspension. But peaceful conservatives like D’Abrosca get banned FOR NOTHING. “D’Abrosca and Big League Politics have attempted to contact Twitter to learn more about why the Big Tech platform decided to ban the conservative journalist and social media influencer and did not receive an immediate response. Roger Stone has spent the past week framing the censorship of conservatives like D’Abrosca on digital platforms as the single biggest issue of our time. Watch him discuss it on the Infowars platform with Owen Shroyer. In an exclusive quote for GP, D’Abrosca called the ban “egregious”. It was Alex Jones, Roger Stone, Laura Loomer and many others. Now it’s Peter D’Abrosca. Tomorrow… it’s you or me. This has to end. 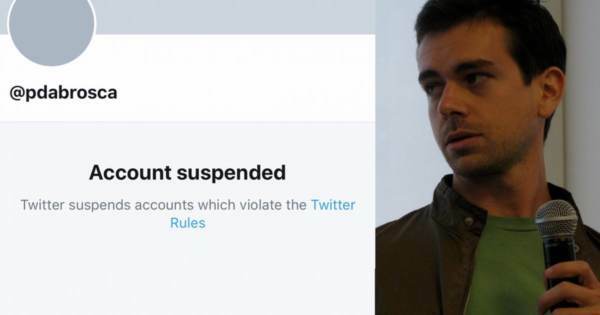 The post Twitter Bans ANOTHER Conservative Journalist… But Verified Accounts Calling For Covington Kids to be Assaulted & Burned Alive Remain Active appeared first on The Gateway Pundit.